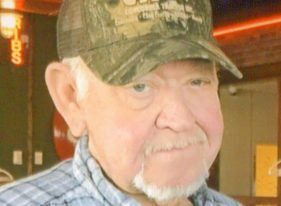 Dennis W. Kearn, age 71, left this earthly life on Fri., November 30, 2018 surrounded by his family at his home in Concordia, KS. He was born on March 11, 1947 in Concordia, Kansas to George W. “Junior” & Hazel M. (Trowbridge) Kearn. Dennis married Diane Collette on September 4, 1967 in Concordia, Kansas. He is survived by his wife, Diane, Concordia; daughter, Denise Cyr (Charles), Clyde, KS. ; son, George Kearn (Katryn), Concordia, KS. ; daughter, Danita Dulaney (James), Augusta, KS. ; brothers, Darrell (Georgetta), Donnie (Deb), Ralph (Phyllis), Bob (Brenda), Tom, Dannie Kearn (Deborah), all of Concordia, KS. ; sisters, Brenda Hester (Don), Seattle, WA. ; Dorothy West, Mankato, KS. ; Sherry Lewis, Alton, KS. ; Debra Mosher (Jim), Concordia, KS. ; & Sandy Ruthstrom (Mark), Clay Center, KS. ; 12 grandchildren & 8 great grandchildren, brother-in-laws, Don (Bev), MO. ; Alan (Kim), VA.; Rod (Leah), Haslet, TX. ; Arnie, Concordia; Tim (Kim), AL; Brad (Mary), Junction City, KS. ; sister-in-laws, Mary Jane, Omaha, NE. ; Loretta Dunn (Steve), CO.; Tammy Carman (Rodger), IN. ; Janet Budke (Norbert), Beloit, KS. He was preceded in death by his parents, granddaughter, Kayla Marie Cyr, great-grandson, Jaxen Touch, in-laws, Alfred and Bernetha Collette, sister-in-law, Deb Clanin, brother-in-law, David Collette.